If grime and dirt have settled into your home, it is time to do something about it. 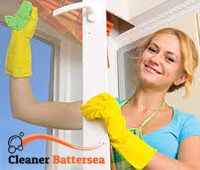 How about you use our spring cleaning service in SW11 to do the trick? It is more than a standard cleaning service. We not only clean high traffic areas, but also check crevices, the tops of wardrobes and cabinets, behind the couch and under the bed, etc. We clean every stain and remove all cobwebs. Our spring cleaning service is the best way to go if your home needs deep cleaning. We encourage you to give our company a call should you need us. Dial our number right away and we can assure you you will not regret it. 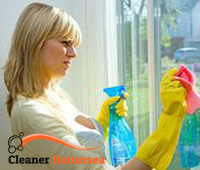 When more than a standard clean is required, our spring cleaning in Battersea will suffice. It is very detail-oriented and it includes all areas in the house, even those small spots and crevices you never bother to clean. Limescale on sinks, bathtubs, showers, etc. In order to get the best results possible, we use high-quality cleaning equipment, which is designed for deep cleaning. Among the machines and products we use are our steam cleaners, non-toxic cleaning solutions and disinfectants, stain removers, etc. We really do our best to clean and sanitise the premises. Here are a few more facts about our spring cleaning service in SW11 Battersea. Firs off, we can be summoned to your home on any day of the week, weekends specifically. We work all year round, so basically you can reserve an appointment right away. One cleaning session is about 5-6 hours, depending on what we have to do in your property. Last but not least, our service is affordable. We guarantee you will love our prices. We even offer free price quotes. Get one over the phone so that you know approximately how much you will have to pay. So if you are interested, just dial our number. We can’t wait to hear from you.